Nemeton provides a variety of resources to the community. Here, we focus on what we consider to be the basic necessities: Food, water, fire, connection and fellowship, soul rejuvenation and practical life essentials (such as herbal medicines, sustainability concepts and models, and learning opportunities). The Mountain is open in various aspects, for gatherings and events or by appointment. Nemeton: Definitions: (Noun): Sanctuary, Place of Beginnings, Point of Zero; Grove of Trees. 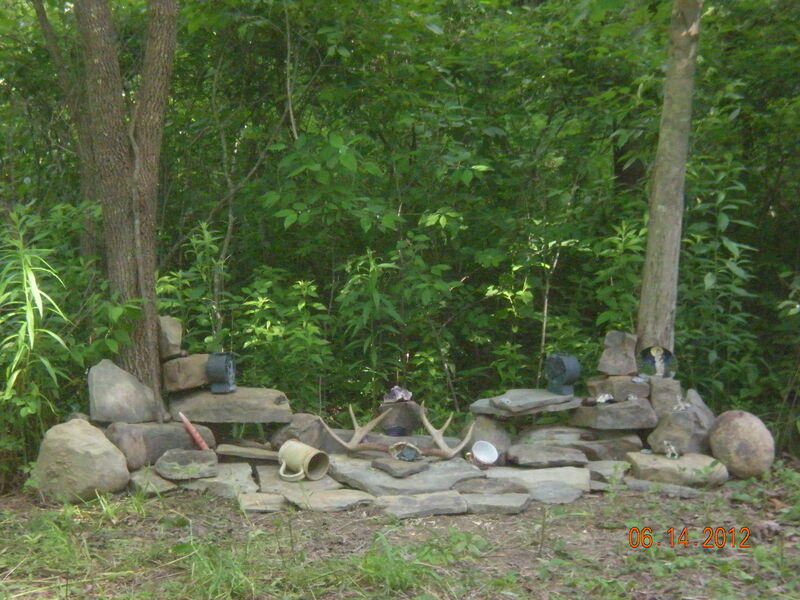 This is a 5 acre parcel of land, located in the hills between Endicott and Owego. Purchased in 2011, for the purpose of providing its inhabitants and visitors with a place for their soul to call home, to deeply sing their roots into the earth and feel at peace with the land & Self. Everything on this land is considered Sacred. From the air that is breathed, to the words that are said, to the food that’s warm in bellies. There is no one based religion here. All paths are respected. Many traditions are honored here, and although they are often used as reference, the base core of Nemeton is Elementally based. Elemental Process is what this land represents and supports. Elemental, meaning the literal elements we are surrounded by in the everyday world. The Magic Beneath Our Feet, so to speak.Several Natural Sacred Space Creations exist in various stages of development, such as the Fountain of Tears, Frog Pond, Forge, Moon Lodge Circle, Zen Garden, Willow Room, The Crossroad Shrine, Fairy Grove, Mischief Cove and the Training Ring. There are various points of meditation: Bear Rock, Root Bench of Contemplation, Lookout Point as well as the The Nemeton (center point of the land). Many Practicality and Sustainability based projects are currently in build and experimental process. Hot composting heating, multi-reuse of water, clay collection and processing for cob and pottery, forest stewardship to name a few. Come, walk with us on a fascinating journey, where holistic living and community unity is at our core. Simply witness or become a part of community as it grows. This is Nemeton – A Place of Sanctuary during crossroads of change and times of peace. Holding heart centered living and deep authentic communication as part of its precepts.